You need to know what you are doing before you make a call to report an auto insurance claim to your insurance company. If you don’t, you may be shorted and you may not get the amount of money that is fair based on the damage that you have suffered. 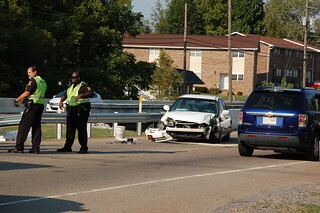 Anyone who was in the car at the time of the car crash has a right to file an insurance claim. Understanding the process of filing an insurance claim will give you the advantage that you need to make sure you are taken care of. The initial thing to do is to make the phone call to your own insurance provider to report that you have been in a car accident in St. George, Utah. The person on the other end of the line will be extremely inquisitive as to the details. They want to know who was involved, how it happened, when it happened, and nearly everything else you can think of relating to the accident. Once they have all that info, they will open your claim. It is important to remember that they are recording your phone call. There is usually no way to know how badly you were injured before seeing a doctor. Oftentimes, back and neck pain can take days before the pain shows up. In the meantime, do not be tricked by the at-fault driver’s claims adjuster. He or she will likely call you, and will likely be very friendly. Their intention is to record you saying that you have not been hurt. Do not lie to them. Telling them that you were not hurt would be one way to lie, because, immediately after the accident, you would have no way of knowing if you have been hurt. Helpful Tip:If you were in fact injured in your accident, you need to call an experienced auto accident attorney. That may sound like an overgeneralization, but you can obtain a free consultation to discuss your claim. If nothing else, they can give you guidance on how to take the next step whether or not you actually choose to hire an attorney. After you have called in your accident to the claims department for your own insurance provider, you will be contacted by your own claims adjustor. You do not need to be quite as guarded when you receive this phone call. Your insurance company is there to protect you. They will assign an adjustor to handle your property damage to your vehicle, and probably a different adjustor to handle you PIP matters if you live in Utah. The property damage issue is quite easy to take care of. Your insurance company will pay to get your car fixed. They will likely seek reimbursement later from the other driver’s insurance company if you were not at fault. You don’t need to worry about that. Your adjustor will likely recommend a body shop to get an estimate. You do not have to use their body shop, but it may make the process much quicker if you do. You also do not have to fix the car, assuming that it passes inspection. After you get the estimate, and give it to your insurance company, they will write you a check. You could choose to just pocket the cash. Once the property damage issue is resolved, things get much more complicated. Determining fault and valuing claims for bodily injuries are both matters that require a personal injury attorney. Prior to choosing one, some important things to keep in mind are that you always want a police report at the scene of the accident, and you must never sign anything you receive from the other driver or his insurance company.